Adams Morgan is the unofficial foodie neighborhood of the city and is definitely the place where D.C. locals eat. No matter what kind of food you enjoy, “Admo,” as the locals call it, is sure to have it. 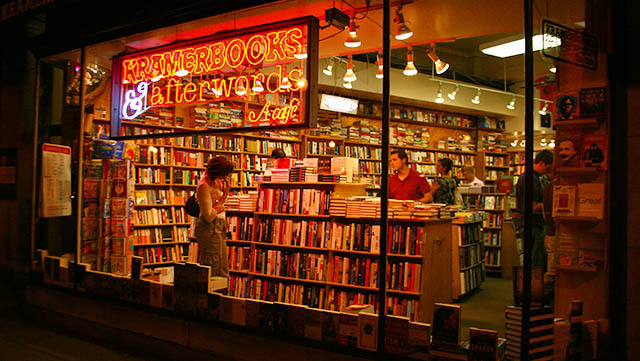 Not only can you find plenty of trendy restaurants, but Admo boasts a unique, eccentric culture. Murals line the sides of many corner street cafes, and the neighborhood is teeming with nightlife. From bars and venues to weekly comedy nights, jazz concerts and small local open-mic nights, this neighborhood has a place for travelers of any age. Local tip: During the day, check out the Smithsonian National Zoo. 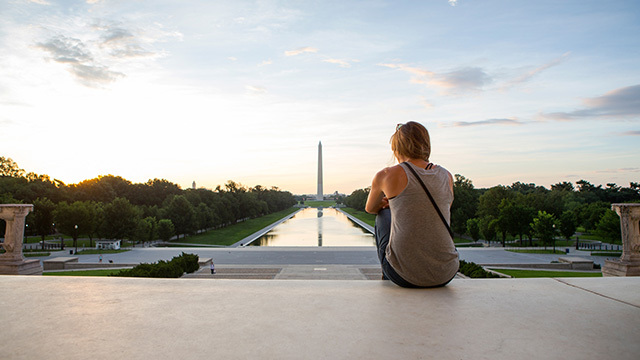 One of our favorite places to visit in D.C., it’s open 364 days a year and entry is free. 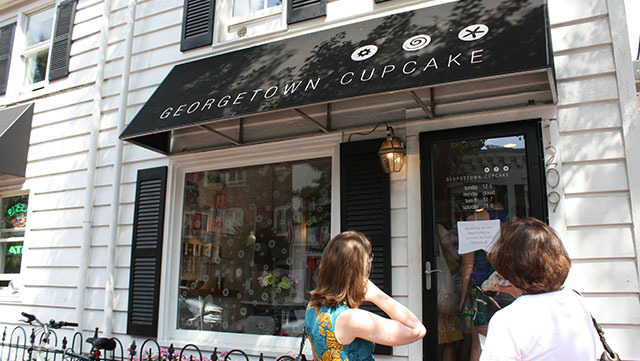 If you are going to D.C., you’ve probably heard of the Georgetown neighborhood, known for the renowned Georgetown University as well as its upscale shopping and cupcakes. A debate persists on whether Sprinkles, Baked & Wired, or the famed Georgetown Cupcakes does the dessert best, so we recommend you make a stop to give each one your official review. 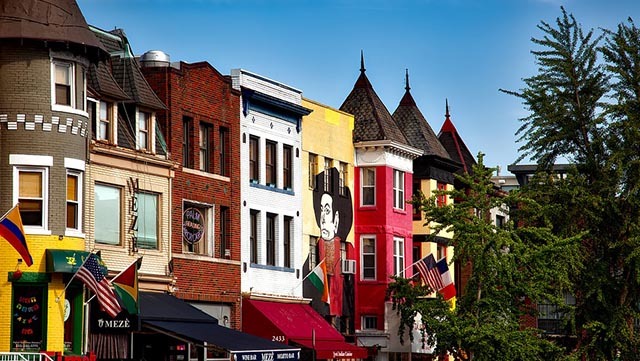 Along with food and shopping, Georgetown is right next to the Potomac River, providing amazing waterfront views of the city’s well-known monuments. 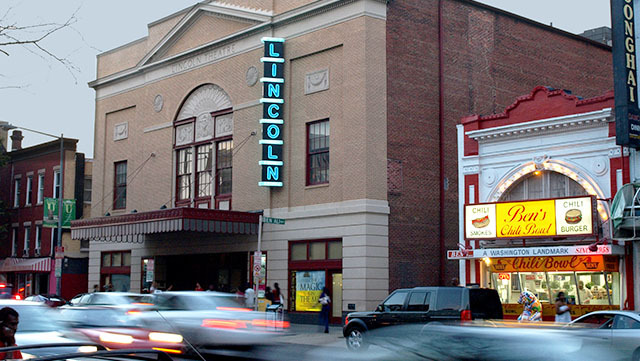 U-Street is an epicenter for night life and music in the District. If you’re going to a concert or show, it’s most likely at one of the many venues on this street. Along with great music, you’ll also find bars and restaurants lining the streets, giving it a thriving nightlife vibe. If you’re craving Ethiopian food, head over to the area in U-Street dubbed “Little Ethiopia,” which is known for its abundance of Ethiopian eateries and migrants from that country.